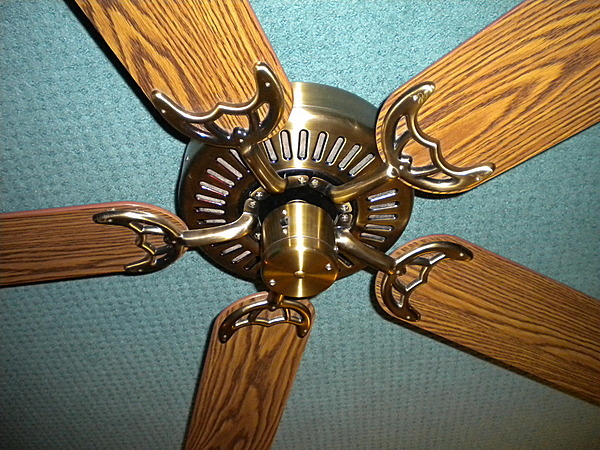 Here's my Hunter Quiet Breeze II ceiling fan in antique brass. The motor is three speed, and it has five reversable oak/rosewood blades. This fan was free, as it was a trash find. I've been told it works. It's in great shape! Dated 1992. More Images by Rick M.